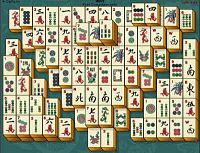 Mahjong, a game that originated in China, is commonly played by four players. The game and its regional variants is widely played throughout Eastern and South Eastern Asia and has a small following in Western countries. Similar to the Western card game rummy, mahjong is a game of skill, strategy and calculation and involves a certain degree of chance. The game is played with a set of 144 tiles based on Chinese characters and symbols. The BVU3A Mahjong group has been ongoing for many years. It provides a social gathering for members as well as an opportunity to learn new skills and practise new strategies. The Mahjong gruop is full at this stage. Contact Beth if you are interested in being on the waiting list.